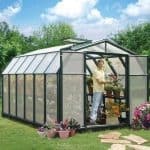 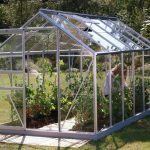 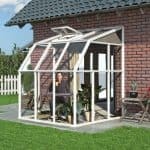 This is a compact and neat greenhouse with virtually unbreakable polycarbonate glazing. 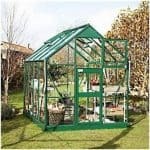 It is made from rust resistant aluminium and will last for many years withstanding the weather. 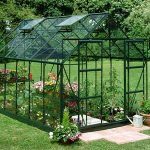 This greenhouse will protect plants, seedlings and vegetables well and they will flourish. 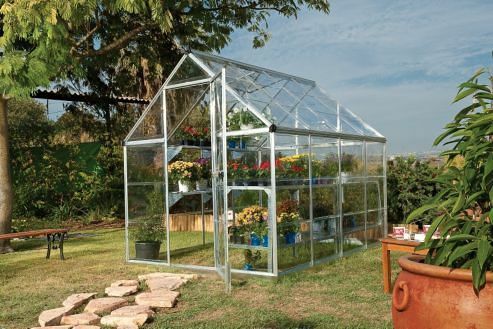 Ideal for keen gardeners or those just starting out this product includes a galvanised steel base and a lockable large front door. 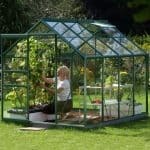 Great for gardeners just starting out or for smaller outdoor spaces This building is home delivered.